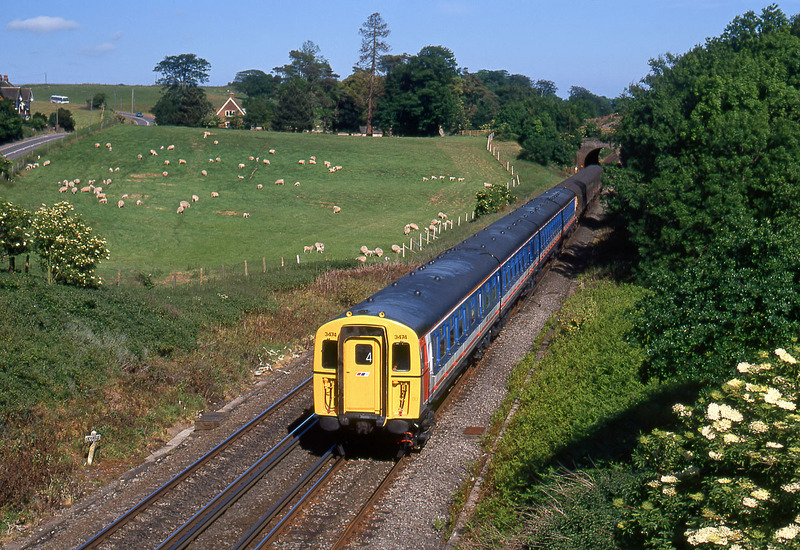 Class 423 4-VEP 3474 leads the 15:51 Ramsgate to Charing Cross Network SouthEast service out of Sandling Tunnel on 2 June 1989. This pleasant rural view has now been changed beyond all recognition, with the Channel Tunnel high speed line slicing through the field in which the sheep are grazing. The slam door units have also of course been replaced by more modern stock.